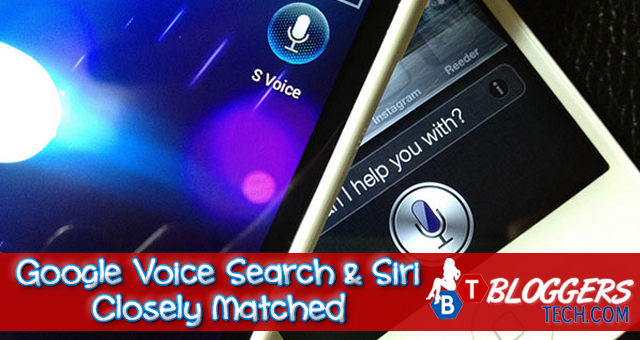 Siri and the new Google Voice Search seem to be a comparable match. When Apple created Siri it was a new-wave sensation, but the capabilities of the Android Jelly Bean’s voice seem to be equally impressive. And today, we'll all talk about it here in Bloggers Tech blog. The Androids voice actions were brought to the front of the market when Google’s Android 4.1 Jelly Bean was introduced. It became a new interface to consider, and made voice search available from any screen. The Voice Actions seemed to be fairly accurate as well. When using your voice to make a phone call, Siri’s simplicity is hard to beat. All you have to do is hold down the iPhones’ 4S’ home button to launch Siri and state who you want to call. Google Voice Actions is not quite as smooth. First you have to swipe your finger upward from the bottom of the home screen and then say “Google” or look for the microphone icon and tap it in the search window. Google Voice Actions also seems to be more accurate when you speak through a Bluetooth. Sending a text with the iPhone 4S is also fairly simple. You simply state that you want to send text and Siri will ask what you would like to say. It will then transcribe your sentences making it easy for voice control without having to touch or look at the screen. Google Voice Actions seems to be just as accurate, and transcribes your words into error free well written characters. The difference is that Google’s software does not tell you what stage of the texting process you are in. It provides you with a faint chime alert to indicate when it is listening. This means it is a limited hands-free operation because you have to use the screen. I found this infographic to help us put the difference between this two, and this will really help us in making this all clear and giving us different views. There are many other comparisons that we can make from dictating an email to searching the web. Siri is definitely ahead for its polish and depth, however Google Voice Actions is not far behind in matching accuracy for the tasks that you can do.